The question of data storage is even more complex when you migrate to cloud solutions. The biggest concern of corporations is the loss of confidential data. However, not all the data can be transferred to a third-party company. In many countries the status of operators of personal data is still uncertain. Yet the number of database storage service providers in the cloud is growing steadily. How do they attract users? The first answer is obvious - saving money. However, there are other motives as well. 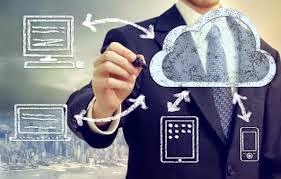 Normally, low initial cost and lower cost of operation of cloud solutions are considered to be the price advantages of this option of data storage. Choosing a cloud database, a company can save on salaries of database administrators. There are a few really skilled professionals in the market and, often, the ones that are already working in the company are overloaded with current tasks. Moreover, company budget and corporate policy do not allow hiring new employees. Choosing cloud solutions you won’t have to worry about configuring the database server, and the price for supporting it is usually much lower. Unfortunately, a small team of in-house employees, overloaded with the database, can not always provide the necessary level of service. This is when cloud solutions, that promise a very high level of availability, and classic IT outsourcing come in handy. Hourly wages can be an effective way of organizing the IT support, including in the evenings, weekends and holidays. The company experts’ skills of the DBMS are very often needed in many projects. On the other hand, this vital task of database monitoring and management is considered to be non-core activity for IT professionals. The team of database specialists, who are overloaded with higher priority tasks, does not have time for proactive work. This is why signing a contract with an external monitoring service provider you should make sure that it includes proactive monitoring. This will help the company get rid of a lot of unnecessary problems. DBAs and organizations where they work need to keep up to date with the latest database technologies. DB Software is becoming more complex, and the training of specialists gets increasingly expensive. External providers can quickly cover the gaps in knowledge and experience of internal teams. The fact is that many companies do not have database specialists. It's one thing to run a SQL Server or to insure the availability of the application. It’s quite a different situation to correct errors in the database and optimize its performance. Company’s internal IT team can manage for a while, but with the appearance of the real problems, the organization will have to urgently seek the help of an external expert. When it comes to the cloud, your database bottlenecks become a headache for the service provider. Of course, a large company could hire a really high-class specialists of database administration, you just have to get to the first level support line with your problem. Each organization is unique, and each of them has specific reasons for outsourcing. However, there are also many common reasons to use cloud databases. The need for high-quality technical support, of course, is paramount. This article is provided by Marieta Hovhannisyan - a blogger, who is passionate about all things technology. She writes about latest tech news, specifically topics such as cloud computing, IT systems monitoring and big data.